The Island of Java, Indonesia is one of Olivier Creed's favorite tropical destinations. 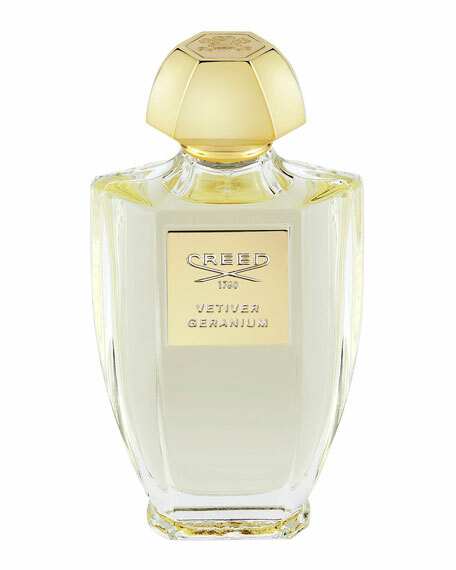 Vetiver Geranium brings to life the vetiver which adorns the mountainous rolling hills of its native landscape and pairs the sensual, soothing essence of geranium to create a radiant juice. Handpicked Granny Smith apple, bergamot and lemon make an elegant debut, while warm cinnamon and rose lead to hearty patchouli, cedar and amber. Though the blend is sophisticated, the emotion it evokes is simple: the unbridled joy of standing outside in the grass after a warm rain. Part of the Acqua Originale Collection, Vetiver Geranium is housed in a charming bottle that evokes the broad wings of a transient birda symbol of discovery. The bottle was designed in partnership with Pochet de Courval, the nearly 400-year-old luxury glass bottle maker outside of Paris and House of Creed long-time collaborator, and created with their signature hand-blown glass process. 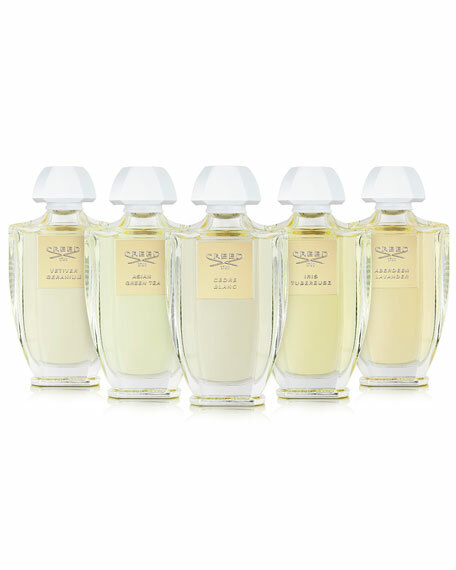 Perfect for the fragrance devotee who admires unique natural essences with fine craftsmanship at its core.